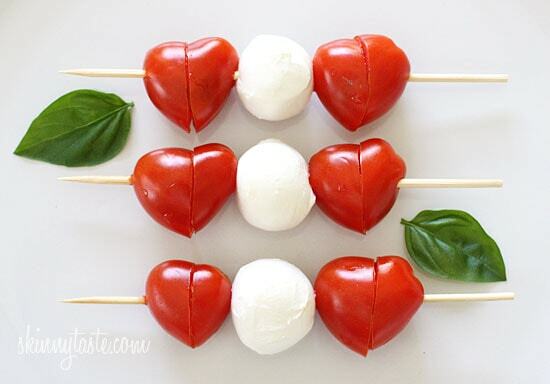 Amazing… Love the ideas, especially the part of using coffee stirrers instead of the pointed skewers. 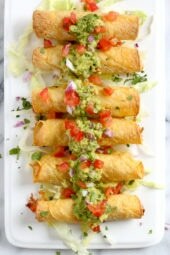 Now if I’m making this for a party how should I display them so they stay cold in this HOT South Florida weather? Thanks for sharing these amazing ideas and photos. Please don't let your toddler eat shrimp! It is not food. They are the clean up crew of the ocean. When the ocean is tested for toxins etc. they test shellfish for a reason! The shrimps job is to clean, not to be food. or ham! Pigs are also the clean up crew 😉 Happy eating, these are adorable regardless! Thanks for the ideas! 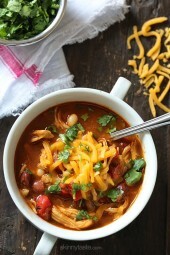 I'm scouring Pinterest for lunch ideas. Very cute and colorful, and I think dd will love it. 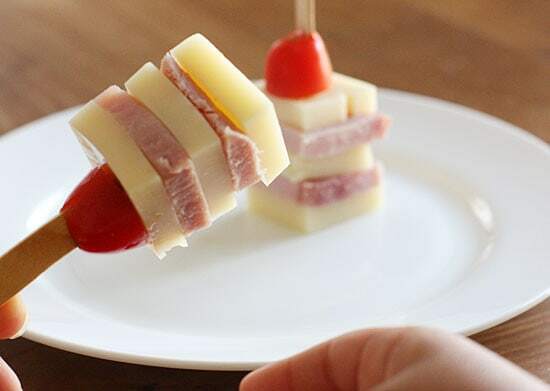 where can i get mini skewers? I really appreciate this work because nowadays busy mums won’t do anything like that but it is really cool thing. Great skewers! Linking back to this post tomorrow. I have a gazillion skewers at home (don't ask why). No I can think of a new serving idea for some snacks. Great idea. Hi Gina, for the ham and cheese, what kind of coldcuts did you use? I normally buy from a deli so they are really thin. im new here….just wanted to ask about the points system.. how exactly does it work? After I read your post yesterday I ran straight to Hobby Lobby and bought nine mini cookie cutters. I have a toddler who won't eat anything but PB&J. I can't wait to try this. You are a life saver! Today I packed them peanut butter and banana honey sandwiches on whole grain bread, triscuits and cheddar cheese, an apple, grapes, and fresh veggies with hummus. That is such a fun and beautiful idea, I love it! 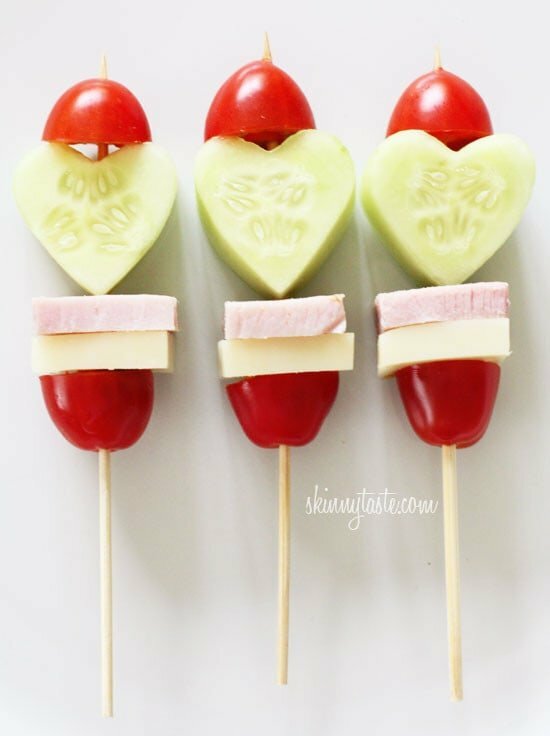 I don't have any kids yet but I love your ideas on kid friendly foods! Thanks for posting! Thanks for the great idea. 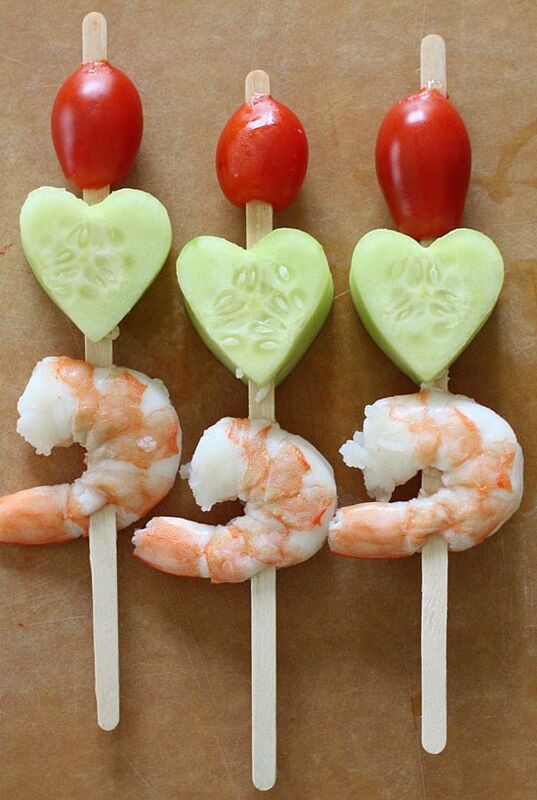 I don't have kids, but love the ideas for my lunches. I'm trying to cut out bread, so this is perfect. Very good idea–love the presentation. 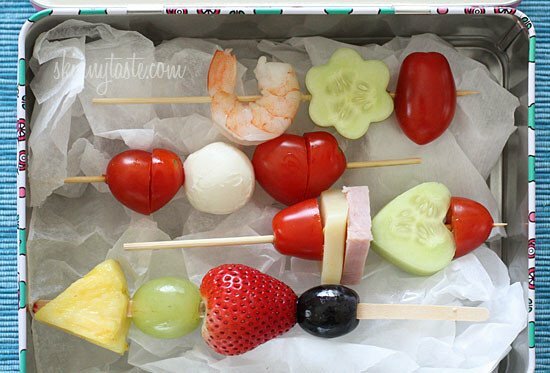 I've done this for a brunch and it helps to make fruit go much further when portioned out on the skewers. I'll have to try in my kids' lunches this year. Both my kids love a grape with a piece of cheese on a toothpick. I've also done apple tossed with a little lemon juice and a piece of cheese, but the grape cheese combo is always their favorite. I like the stir stick idea too as a safety issue. Sometimes I serve my kids dinner with a toothpick too instead of silverware. Makes it more fun to eat! 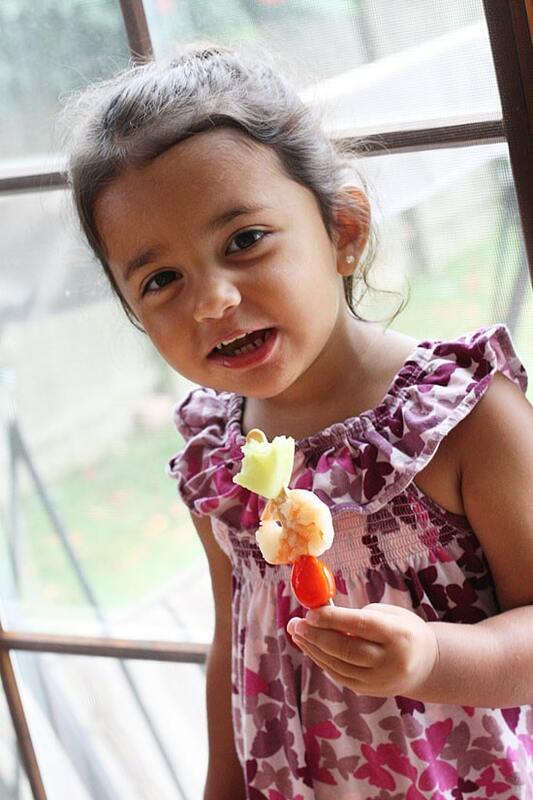 So do I, my daughter will eat just about anything with a toothpick. I like the fruit one! How fun!! Are kids allergic to meat now? Why all veg…just curious. I was wondering if the cucumber and pineapple would dry out being that they are cut.. or does the ice packs help that? No, as long as you place it in a container or baggie and keep it on ice, it's fine. My son is starting school this year and I was worried about what to do for his lunch and these ideas came up very helpful 🙂 loving your web page thanks!! These look super! Creative too! Where do u find such small and cute cookie cutters. After a long search I cud only find It in Walmart but were still big in size. Love this idea. I'm having lots of company in a few weeks (all adults), and I'm going to try it. Do you put any kind of dressing (such as lime etc) on the fruit, or just use it plain? We put the dressing on the side. Twice now you've photographed school lunch in a tin. Is that how you send it or is that for presentation's sake? Tell me more!? (Coldness, cleanliness, ease..). Love you and all your ideas! I check my RSS feed multiple times a day to see if you've surprised me with a new brilliant recipe! It's for the photo. I use ice packs to keep it cool (I do this for the beach too), I bought some cute animal shaped ones that are cute for kids but I also have larger ice packs. Well actually this lunch box will be my daughter's this year! My older daughter (teen) used paper bags. Gina, this is a great idea! 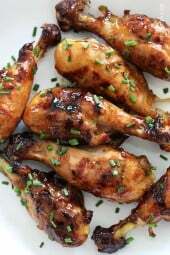 I would make them with olives (black and green), turkey, bell peppers and cucumbers – food my kids enjoy. Great idea. I will have to try this with my high school kids. They are either going to love me or hate me for it. Both of my kids don't like sandwiches so I am going to give this a try. 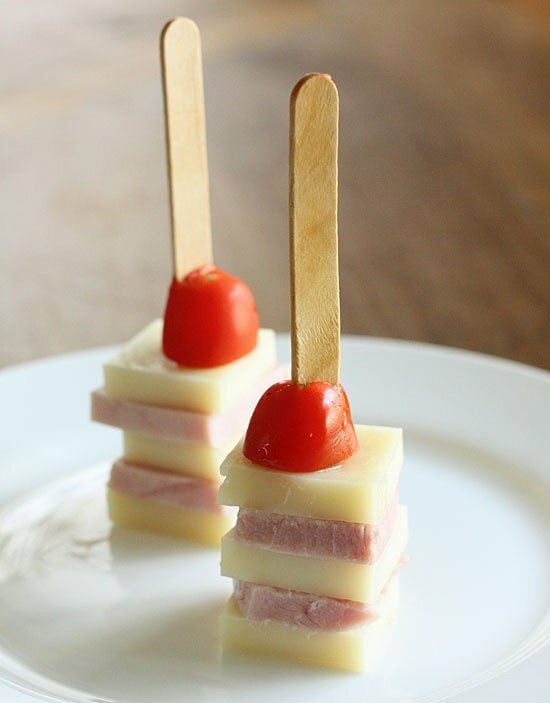 I love these ideas, however the schools here won't allow skewers to be brought in. They consider them a "weapon" b/c of the pointed end. They assume children will poke/stab each other with them. But I will certainly use it for my husband and for next summers reunion. It is also a good idea for the holidays. Thanks! This was exactly my first thought. I LOVE the idea and they're so adorable. However, as an elementary school teacher, I would ask the parents not to send them in if the school didn't ask first. I don't think all kids would poke people with them, but it's definitely a hazard. If you use small straws, coffee stirrers (as I did with the fruit) or lollipop sticks, it wouldn't be an issue since they are not pointy. You could also snip the pointy end off after making it. I love this idea but am wondering about keeping them cold (there for safe) enough in a lunch box until lunch time at school. I have small ice packs that I keep in my lunch box. They sell really great ones that are flat. disney makes icepacks. for my girls they have cinderella, belle and tiana. i think they make cars and toy story ones too. Very good idea! 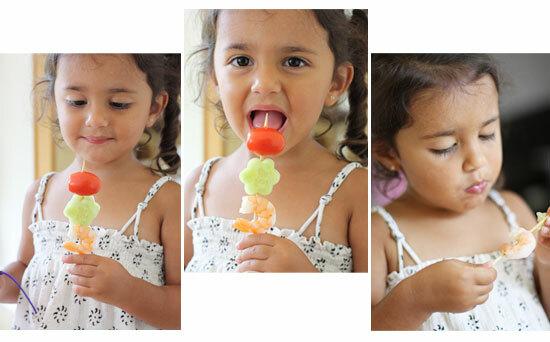 My 2 year old is always dropping her food…she would love to eat off the stick! Such adorable ideas Gina! Love all those little shapes! I love this idea, I am doing this for my daughter when she starts school. She doesn't like sandwiches either but she will love this! I love the idea of using coffee stirrers as sticks. Coffee stirrers just seem safer than pointy skewers for little ones. Love them Gi! I love the pics of Maddie throwing down even more!! I think my husband would love these options! He'll be going to night school and will only have 30 minutes between work and school. We're packing dinners for him, so having to get creative! So cute..have to remember those hearts!